Johannesburg - Gemalto (Euronext NL0000400653 GTO) the world leader in digital security, announces the deployment of prepaid EMV banking cards to complement Vodacom's m-pesa mobile wallet service in South Africa. The card is certified by the major international payment schemes and accepted at any of the 240,000 EMV-compliant payment terminals and over 27,000 ATMs throughout the country, which will significantly extend the reach of the leading South African operator's services. Gemalto's off-the-shelf solution for Vodacom encompasses design and production of the card, as well as automatic packaging and point-of-sales delivery. The card links seamlessly to m-pesa accounts, and gives users the freedom to make payments for goods and services without the need to carry cash. 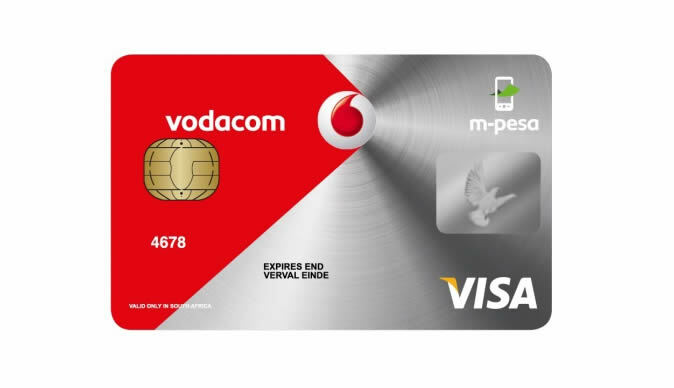 Because an efficient distribution network is a prerequisite for success in the prepaid market, the m-pesa card is available direct from 8,000 Vodacom agents and enrollment with the company's secure system is a quick and easy process. Users can check current balances via the mobile wallet app and receive SMS alerts when funds are running low. Furthermore, because it is a PIN-protected virtual account, the user's credit remains safe even if the card is lost or stolen. "Gemalto offered us the convenience of a fully packaged solution," said Herman Singh, Managing Executive of m-commerce at Vodacom. "By expanding our m-pesa mobile wallet offering with the banking card, we've been able to add an entirely new level of functionality which we think is critical to the success of m-pesa in South Africa." "With this new project, Vodacom becomes the first mobile operator to initiate the large-scale rollout of an EMV banking card that is accepted anywhere," said Thierry Mesnard, Senior Vice President for Africa at Gemalto. "This innovative deployment highlights just how quickly the worlds of banking, retail and mobile communications are changing. Positioned at the very heart of these converging trends and technologies, Gemalto is glad to offer its support to this endeavor aimed at offering greater convenience, security and social inclusion".